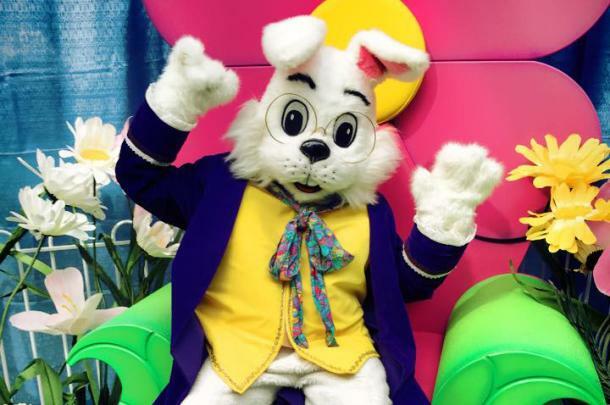 "Hop" in to the Arnot Mall for photos with the Easter Bunny! If you follow the Easter Eggs, you'll find him in the food court! Arnot Mall is a super-regional shopping center located just off of I-86, Exit 51A. Shoppers can easily drive to the mall from Olean and Jamestown from the west and Binghamton and Owego from the east. The mall is convenient to shoppers north of Ithaca and from the northern tier of Pennsylvania. Located in Mark Twain Country and centered at the southern gateway to Finger Lakes Wine Country, the mall has beautiful surroundings with plenty of things for visitors to do and see. Cayuga, Seneca and Keuka Lakes, just a short drive from Elmira/Horseheads, boasts the largest concentration of wineries outside of Napa Valley. We invite you to enjoy the beauty of the area and delight in a one-stop shopping experience. Arnot Mall will surely meet your expectations for great shopping, customer service, dining and entertainment.